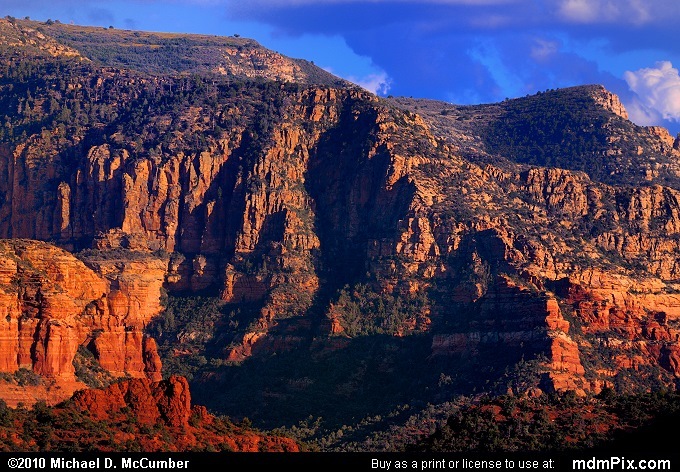 The profile of Lee Mountain, a part of the Mogollon Rim, can be seen with evening light cast against it in this mid September photograph taken from the Mini Mesa Vortex Vista of Sedona, Arizona. 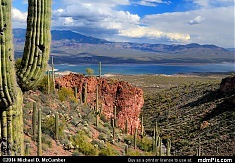 The sun's golden light almost neutralizes the color differences between the Coconino (white) and Schnebly Hill (red) Sandstone. 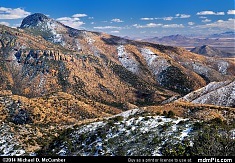 Lee Mountain rises to almost 2000 feet from the terrain below to reach over 6400 feet in elevation. A great view of the mountain can be had from the Airport Mesa Loop Trail.